The riotous smash hit is back! 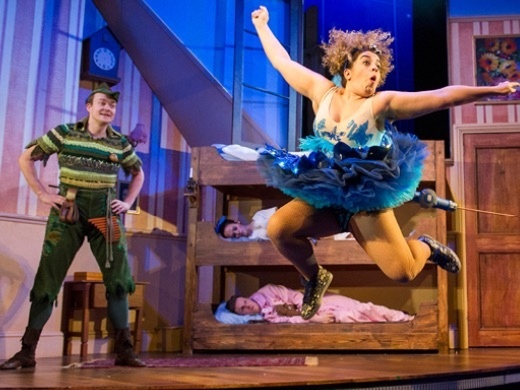 Comedy masters Mischief Theatre return to the West End with Peter Pan Goes Wrong for another irresistible, disaster-filled season. We first met them in the Olivier Award-winning The Play That Goes Wrong and now the incorrigible Cornley Polytechnic Drama Society has reconvened to stage a production of J.M. Barrie’s beloved Peter Pan. As the scenery collapses, props disappear, Nana gets herself stuck in the doggy door and three different actors seize their opportunity to play Pan, Neverland seems more distant a dream than ever. 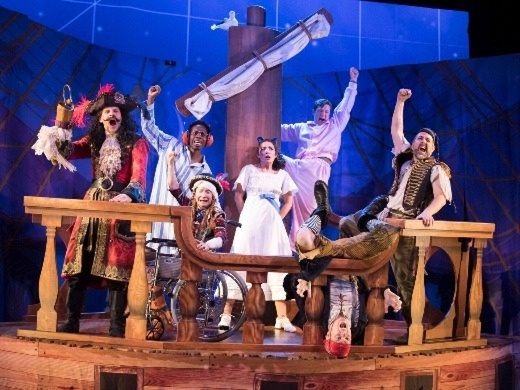 In Peter Pan Goes Wrong, Mischief Theatre’s Henry Lewis, Jonathan Sayer and Henry Shields once more strike an impeccable balance between perfectly-timed slapstick and dazzlingly clever writing. Casting conflicts, technical catastrophes and meta-theatrical mayhem have never been so slick. 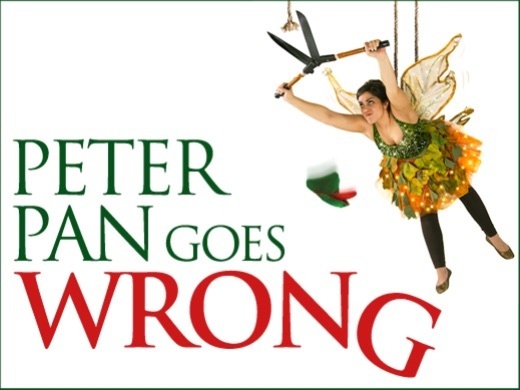 Fast-paced, original and laugh-out-loud funny, Peter Pan Goes Wrong is a calamitous and joyful event. 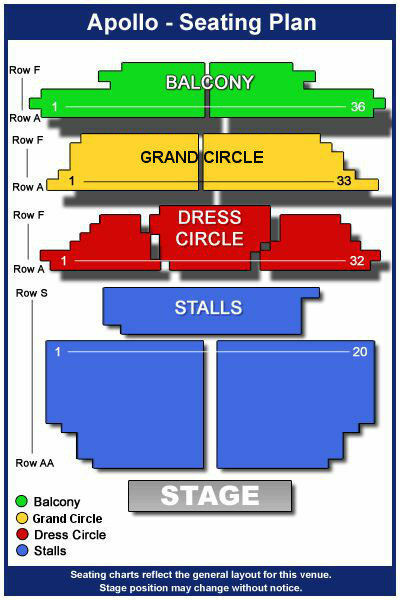 Playing at London’s Apollo Theatre, grab your tickets to the hilarious Peter Pan Goes Wrong before they sell out. No refunds available after purchase . I saw this production... some time ago. I remember it like it was three hundred and twelve days ago. Sublime! Having seen this company's other two shows we had anticipated what the general approach might be but even we were surprised. The brilliantly timed physical comedy is just hilarious. We hope they will put this show on again in the West End because we want to bring others to see it. PLEASE!! Fabulous show, very funny and action packed. Our children (14 & 11) loved it. Would definitely recommend watching. We chosed this show after reading a review in an Israeli journal who wrote it's a "must", "no way to visit London and miss it..." . It took us ( grandfather 69, 2 daughrers 41 & 33) , 5 minutes to understand that in fact it's targeted to young peopel, mainly children. We left in the break. We paid 150 pounds, quite an expensive lesson. We still love England. You need to ensure you visited the loo before watching this play. Also make sure you have tissues for when tears of laughter run down your cheeks. The play is great from the onset' it is a must see. We have seen the play that goes wrong, now we have got to see the bank robbery that goes wrong. Great cast, scenery , just great all the way through. Well done to everyone. This is the second time I've seen this play, and found it just as hilarious as the first time. My daughter who hadn't seen it before was in tears of laughter - she has been in many amateur productions and know how things can go wrong! Seriously. It's very, very funny. Wasn't sure just how funny this was going to be but honestly it is the funniest thing I have ever seen at the theatre. Took along my eleven year old son as a birthday treat, he brought a little friend with him and the three of us sat and howled all the way through. It is brilliant comedy, actors are fantastic and I would thoroughly recommend. We had no idea it was the last night - when it returns for another disastrous season I will take my other son, who I know would love it. The whole family (adults) enjoyed this show I have seen Comedy about a Bank robbery and the Play that goes wrong and this was another successful production. I like the attention to detail -the little bits going on before the performance. Keep up the good work. A very funny show. Took my 13 year old nephew who laughed from beginning to end. We were a party of 9 ranging from 10 years of age to 71 and we all really enjoyed the whole show. We laughed and laughed and wish more shows could be as entertaining as this . The cast worked extremely hard at making it all look so easy. I have seen the Bank job that goes wrong and The Play that goes wrong and all were so good but this really was stunning. Thank you all so much for a really fantastic afternoon in the theatre. I would happily see this again. What a lovely afternoon, second of this company's shows we have seem. As expected a good farce with slapstick and pantomime audience participation . We'd seen the Play that goes wrong and also the shortened version of Peter Pan Goes Wrong on the television over Christmas. The stage show was so much better and told the whole story along with other great scenes not seen on TV. As expected from this company, the performance was extremely well choreographed, excellent comedy timimg and we had a great night out. One of the funniest in the trio I have seen, went home fully entertained, well done to the cast. Not sure who enjoyed it the most, then or us. Brilliant humour, scripted or not, cried almost all the way through. An excellent production. A wonderful afternoons entertainment. we need more shows like that! Even before the play officially started, the actors were making us giggle. The warm up acts within the audience were just a glimmer of what was to come. The play was non-stop giggles and chuckles; perfect for the entire family. If you like a splash of slapstick and a dash of daring jokes - please go to see this play or any of their other fantastic plays currently playing in the West End. Really good family show, very funny and very entertaining. Highly recommended ! I laughed so much my ribs still hurt. Brilliant highly recommend. Booked because enjoyed The Play That Girs Wrong and wasn't disappointed. Laughed from start to end. Excellent, most amusing and witty performance. I had previously seen "The Play That Goes Wrong" after booking this a friend said it was not nearly as good. We thoroughly enjoyed it - except they were the worst theatre seats (for view of the stage) that we've ever had B24 & B25 in Grand Circle - we missed a fair bit of the action as there was no way we could see about a quarter of the stage. We have had obstructed views before - but none as bad as this - and we were only told they would be obstructed after booking. Good entertainment though. Once again, we see another great show from this company of brilliant hilarious actors which left us with our faces aching with laughter. I have no idea where the two hours went. Please do more, we love these productions. Fabulously funny. We need more productions like that. So funny! Bought these tickets as a Xmas pressie for my husband, had no idea what to expect... What a fantastic show! We laughed from start to finish. The cast are amazing & absolutely hilarious. We will definitely be booking tickets for their other shows. Absolute nonsense brilliant nonsense hilarious as always with mischief theatre company. Having seen The Play That Goes Wrong we had high expectations and were not disappointed. The cast are so talented and it is the best ' feel good '' show. As ' Am Dram Lovies ' ourselves we totally get the mayhem throughout the show. 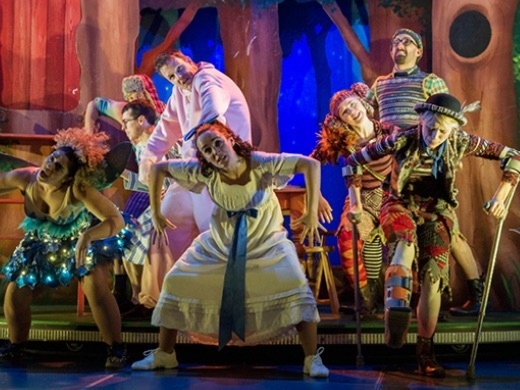 If you're finding it difficult to raise a smile in the face of all the doom, gloom and uncertainty afflicting us these days, get some respite: go and see Peter Pan Goes Wrong. It's wonderful 'physical' theatre, very well realised and full of surprises. You're certain to laugh out loud over and over again. It's great entertainment. Go on - you'll enjoy it! Excellently executed, especially enjoyed the cast interaction with the audience before the beginning of the play. Maintained elements of the original Peter Pan with the child like theme throughout. A really good night out, what a pity the audience was small, however this gave us better seats and in no way affected the performance by the cast. Very funny, if you like this (almost slapstick) humour. The co-ordination to get the stunts working precisely is amazing and the actors are brilliant at portraying inept actors. What a hilarious show! We didn't stop laughing from the beginning to the end. Brilliantly performed with total gusto from all the players. Would thoroughly recommend this show to anyone looking for a great night out. 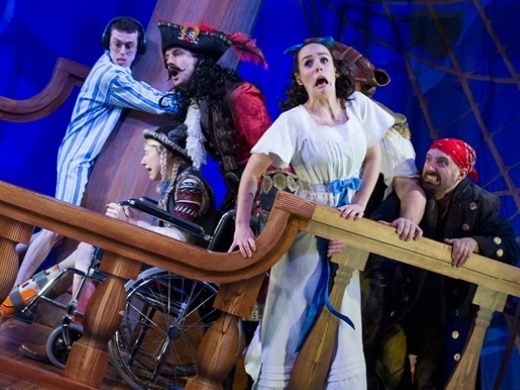 Peter Pan Goes Wrong is very funny, very clever and wonderfully enjoyable. The whole family loved it, especially the 7 and 9 year olds who hadn't seen anything quite like it - they loved the anarchy of it, as did we all. We hadn't laughed this much for a long time - go and see it! Just watched a fantastic show, had me laughing throughout as well as my family (daughter 9 loved it, son 7 also loved it once I told him the mishaps were meant to happen!). Get there early as there is some pre show entertainment. If you like slapstick comedy, you'll love this show. We've already booked to see Play that goes wrong by the same company.